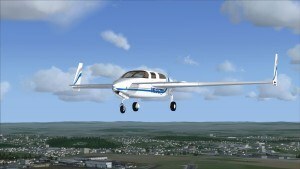 European photo scenery specialists SimDesign have released their first add-on for FSX: Steam Edition this week: VFR Czech Republic. Primarily known for their photoreal Polish scenery, SimDesign turned their talents to a close neighbour, the Czech Republic. The Czech Republic is primarily an upland country, with its area covering the Bohemian Massif and a small part of the Western Carpathians (The Bohemian Massif is an extensive basin surrounded by lush mountainous forests on three sides. The highest peak of the country, at the height of 1.603 m (5.256 ft), is a located in the Sudetes Sněžka. What this means is that there is lots of interesting stuff to see in the Czech Republic on a low-level flight, and VFR Czech Republic scenery is the perfect way to replicate the experience in FSX: Steam Edition. 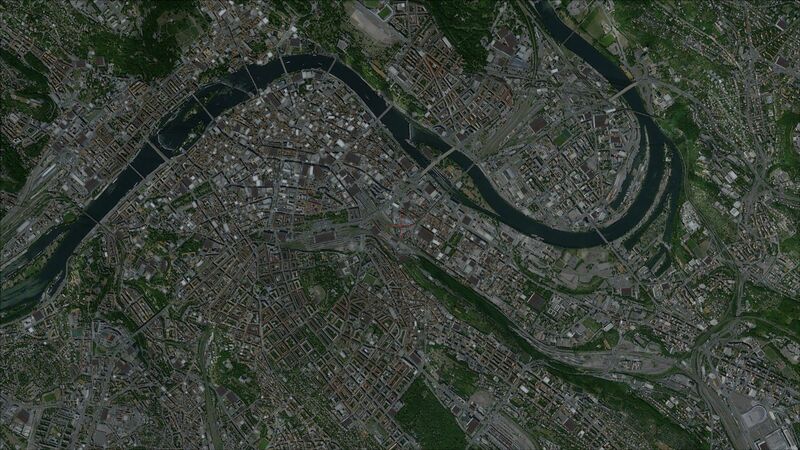 VFR Czech Republic is photo scenery, which means it uses real satellite photo imagery at approximately 2.5px ground resolution. We should also mention that there are over 450 lakes to explore – Perfect for practicing your water landing skills! VFR Czech Republic is jam-packed with approx. 20 GB of VFR photo scenery excitement, so make sure you are aware of any data charges you may incur as a result of downloading this add-on. Also making their debut on FSX: Steam Edition this week is FlySimWare with their Velocity XL RG. This single engine sweetheart is the one of the first two kit aircraft to be offered on FSX: Steam Edition, and flies like a dream. FlySimWare’s Velocity XL RG comes with a custom G1000 PFD, MFD and remote system which includes features like engine displays, and brightness controls to gallons used information. Also included is a full auto pilot system with VNAV that is close to real world operations, realistic gear operation, night light effects along with new landing lights, and several ways to use night lighting in the cockpit. The model is designed to mimic real world operations and use real specs for flight dynamics. 2D panels for the G1000 screens, specs, features and a service hanger to repair / refuel change pilot modes and night lighting are all included. There is also is a prop-scrape effect and gear-up landing ability for emergency landings. Once the engine has been damaged during a prop-scrape, you can use the repair hanger to install a new engine and prop. Cool, huh? 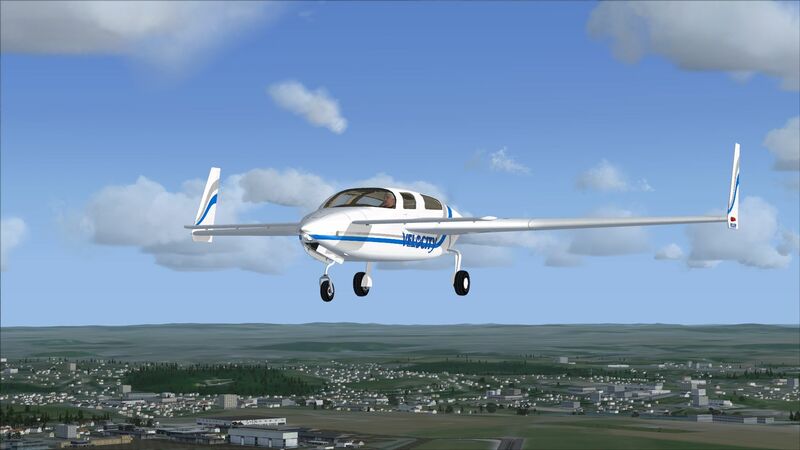 Last but definitely not least, join the Rutan clan with the latest FSX: Steam Edition release from Virtavia, the Rutan 61 Long E-Z (right). This unique looking bird is also a kit-built aircraft, of a variety referred to as canard pushers. These are aircraft which are optimised for long-range, fuel efficient flights, and usually have the option of an additional internal fuel tank to push maximum range to more than 4,500 miles! 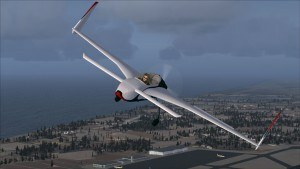 The FSX: Steam Edition version of this quirky aircraft from Virtavia features six variations with 10 liveries, a fully clockable cockpit, and even separate sets of flight dynamics for both engine types (AvCo Lycoming O-235 and O-320). High quality audio is also included as well as a variety of custom animations.